Disclosure: This is a sponsored post courtesy of The Motherhood and Beef It’s What’s For Dinner, but all opinions expressed are 100% mine. Have you noticed just how much grocery prices have risen? It seems like everything I buy for my family has gotten more expensive. I try to add a variety of different foods and vegetable to each meal, but beef has always been a family favorite. We love burgers, steak, meatballs, pot roast, pretty much anything made with beef is a favorite. So, how do you get more beef for dollars? Follow some of our ways on how to save money on beef and learn how to stock up on beef without blowing your grocery budget! 1. Know your cuts. Middle meats are more tender: rib, loin, plate, flank. Other meats require marinating longer to tenderize: chuck, brisket and round. You can buy cheaper cuts of beef and make them tender by slow cooking. 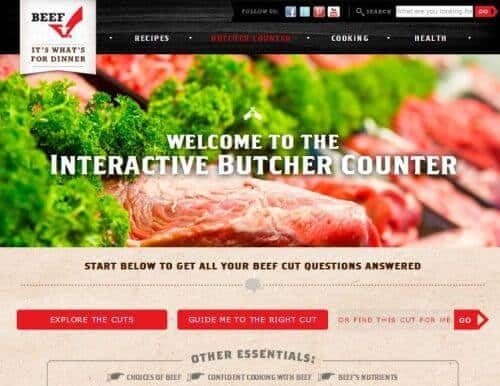 I recommend you use the FREE Interactive Butcher Counter, available on website or on mobile phone. It’s a great tool to help you select the right cut at the meat case. It provides nutritional information, gives the recommended cooking method and even has links directly to recipes. 2. If you cook daily for your family, then why not buy in bulk from a warehouse store. Or you can buy family size packs of beef instead of smaller packages. When you get home, separate them into the serving sizes that works for your family. 3. Find a local farm and buy the meat from a cow. You can split this with family or neighbors if you don’t have enough freezer space for all the cuts of beef you will get. 4. Know how to cut beef to make the most out of your dollar. Watch these Tips for Beef Butchery. You can also invest in a meat grinder, buy a roast and make your own ground beef. 5. Use less beef per serving when making a meal. Serve a salad and lots of veggies and you won’t miss the extra beef. 6. When your local supermarket has a sale on beef, make sure to stock up. 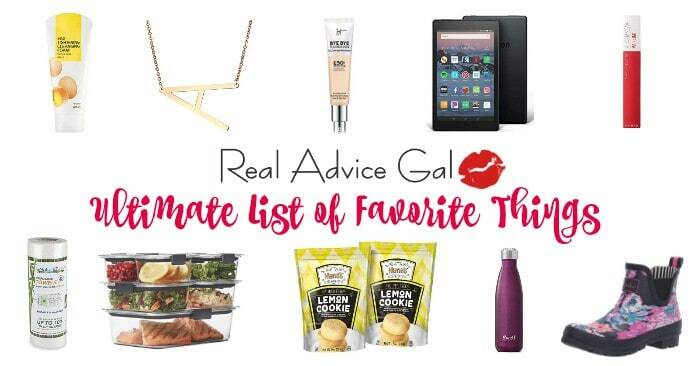 Buy as much as you can afford and fit in your freezer. This works well when you have a deep freezer for storage. Check out how to safely and quickly defrost ground beef. 7. If your local grocery store has a points program or gives Catalina coupons, use them to buy beef and save money. 8. Become BFF’s with your butcher! Be friendly, ask questions, be loyal to your butcher and it will pay off with special cuts, discounted prices and a heads up on the best sales! Did you know that beef is a powerful protein and good source of 10 essential nutrients? It’s true! Beef gives our body more of the nutrients we need. Research even shows that including lean beef, even daily as part of a heart-healthy diet and lifestyle improved cholesterol levels. And the best news is many of your favorite cuts are lean! Top Sirloin, Flank Steak, Strip Steak, Tenderloin, Brisket (Flat Half), 93% + lean Ground Beef. So let you and your family enjoy BEEF. 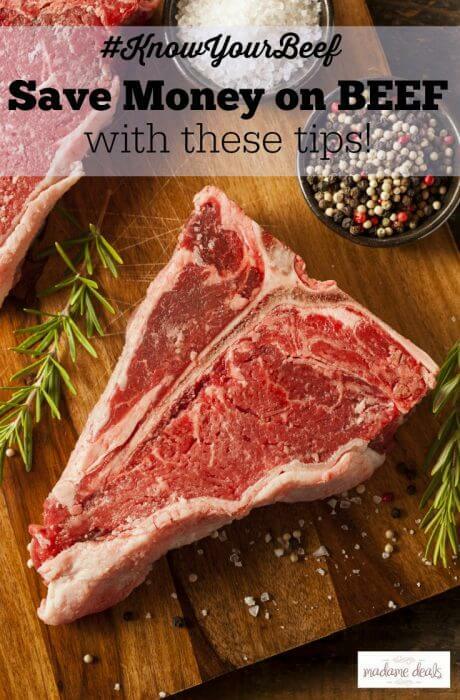 Follow some of our tips for getting more beef for dollars and save money on your grocery bill! How do you get more beef for dollars? Beef It’s What’s for Dinner has more great information so you #KnowYourBeef, they have recipes, cooking tips and more so make sure to visit them. Do you have other tips on How to Save Money on Beef? Share it with below.